We offer low cost affordable bounce house rental to all of Sheboygan County and the surrounding area. We do delivery and setup for each rental. 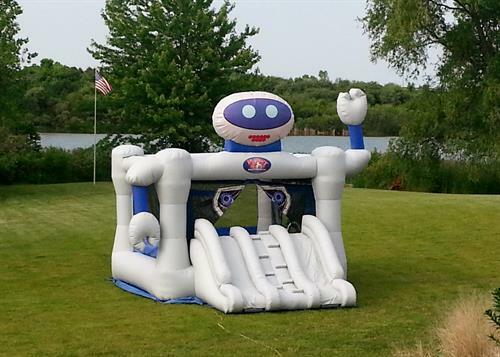 We have 14 inflatables, including bouncers, wet/dry and a 16ft slide, to enhance your venue. We can do indoor events also. Visit our website for photos, pricing and availability. We can do almost any event and will take every step necessary to ensure we can serve your event.